Whether it is for your deck, your fencing or concrete, our staining services can improve the appearance and durability of your outdoor features. 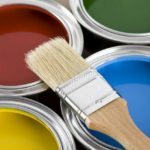 Many homeowners and business owners call in professionals to help with their painting jobs, but when it comes to staining projects, they may not think to make that call. Here at Prep-Rite Painting, we have the knowledge and experience necessary, as well as the equipment and supplies, to make your next staining project an absolute success. When we take care of your staining services, you can sit back and relax, knowing that the job is going to be done right the first time. Our staining services include many different components of your home or business in Apex, North Carolina. We can stain decking, fences and even concrete patios, driveways, garages or pool decks. Our staining services will quickly improve the aesthetics of your wooden or concrete features, but they will also help them to last longer and protect them from the elements. Comprehensive prep: If you want great results in painting or staining, you have to take the time to do the right prep. This includes necessary repairs as well as pressure washing to remove any built-up dirt and debris. Carpentry and repair: We will include any needed repairs in your quote upfront. That way you won’t be surprised by the cost later on. This may include repairing areas of rot or filling holes. Great results: Whether it is your deck, your fence or a concrete area, you can be sure you will get great results. Are you ready to get started or want to learn more about our staining services? Give us a call today and let’s talk about your needs and how we can help. At Prep-Rite Painting, we offer staining services in Apex, Cary, Holly Springs, Fuquay Varina, Chapel Hill, and Raleigh North Carolina.